Many Americans deeply believe that people should pull themselves up by their bootstraps. After all, individual responsibility is a core American value. Too much emphasis on an individual's responsibility, however, may result in overlooking the societal and historically causes that keep racial minorities such as blacks at an economic and health disadvantage. As a member of the University of Michigan's Institute for Healthcare Policy and Innovation, Poverty Solutions and Department of Psychiatry, I study racial inequalities in health. My research has shown that it is not lack of personal responsibility, low motivation or culture of poverty but deeply entrenched societal factors such as racism and discrimination that cause such disparities. In fact, my research indicates that society differently rewards blacks and whites with the very same level of self-reliance and education attainment. As long as such society treats social groups differently, any policy that overemphasizes individual responsibility has the potential to unintentionally widen the racial health inequalities. In my research, I have compared the effects of three indicators of individualism and self-reliance on blacks and whites. Specifically, I looked at: the sense of control over one's life; self-efficacy, or a person's belief in his or her ability to produce certain performance standards; and mastery, or a sense of feeling competent at life's tasks. Together, these indicators reflect one's ability to constructively control life and the environment, which has a direct effect on the quality of their health. What I have found suggests that the idea of using bootstraps to pull oneself from poverty, which is useful for whites, is not similarly applicable to blacks in the United States. In a national sample of older Americans, having a high sense of control was associated with living longer, but this was the case for whites only and not blacks. That is, while a high sense of control was giving whites extra years to live, blacks were dying regardless of their sense of control over their lives. In a 25-year longitudinal study of adults from 1986 to 2011, I found similar results for the effects of self-efficacy on mortality. Again, only whites, but not blacks, lived longer if they had high self-efficacy. I found similar results for the link between depression and sense of mastery, or a feeling of having command of one's life. While whites with a high sense of mastery experienced less depression, blacks with a high sense of mastery still showed symptoms of depression. Although indicators of individualism are beneficial to the health and well-being of whites, according to several studies by my team, these indicators fail to protect blacks. Ironically, a high sense of desire to take control over their lives puts blacks at an increased risk for mortality. So, it appears that, due to systemic, persistent injustice and pervasive inequalities, the health gain from being able to pull oneself up by the bootstraps is considerably smaller for blacks compared to whites. My results also show that health gains do not accrue to all races equally. For example, health gains due to education, employment and income are systemically smaller for blacks than whites. For example, the effects of education on smoking, drinking and diet are smaller for blacks than whites. Black men gain very little life expectancy from being employed. The largest gain from employment goes to white men. In the same manner, blacks' physical and mental health benefit from marriage is smaller compared to whites. Also, there is a smaller gain with increased income for blacks when it comes to health. Typically, as income increases, the number of chronic diseases and risk of depression decreases. The protective effect of income on depression and chronic disease, however, are smaller for blacks than whites. In other words, the same dollar buys less physical and mental health for blacks than whites. While white children from wealthy families are protected against obesity and asthma, family wealth fails to protect black children against same conditions. Thus, highly educated racial minorities are not enjoying the fruits of their labor, with the returns of their investment being minimal for them. My studies suggest that when a minority family climbs the social ladder, the system holds them back by giving them smaller economic and health returns for their investment. Studies have shown these patterns also hold across generations; parents' socioeconomic status does not beget tangible health outcomes for their children. And, blacks sometimes face further hurdles when they succeed. For example, for black youth and adults, high socioeconomic status sometimes means more discrimination. This explains why securing more education and wealth means a higher, not a lower, risk of depression for black families who do achieve higher education and wealth. For example, in a nationally representative study of black boys, high income was a risk factor for depression. In a 25-year follow-up study, most educated black men showed an increase in their depression. In the same study, education was protective for other race by gender groups. These findings are also replicated in other studies I have conducted and those done by others. It could be the case that LeBron James was onto something when he said, "No matter how much money you have, no matter how famous you are, no matter how many people admire you, being black in America is tough." Just because the U.S. had a black president does not mean racism is dead. There is little doubt that blacks have to fight existing racism and discrimination at many levels. Police shootings, mass incarceration, residential and job segregation, and concentration of poverty and crime in urban areas are some examples of the barriers that many blacks, particularly black men, deal with on a daily basis. My research indicates that these structual barriers to social advancement manifest themselves in health, notably how long people live and the health they enjoy during their lifetimes. I believe that good policies are those that are designed based on evidence, not political ideologies and values. The idea of pulling oneself up by own bootstraps does not equally apply to all race and ethnic groups, given the history of slavery and Jim Crow as well as existing racism and segregation. There is a mental health crisis in the black community, which calls for improved cultural competency training for all psychiatrists as well as more openness among blacks to talk about these issues, said APA President Altha Stewart, M.D. Stewart recently spoke at a session on mental health at the 48th legislative conference of the Congressional Black Caucus Foundation (CBCF), an organization aimed at advancing the global black community by developing leaders, informing policy, and educating the public. Cultural competency training is aimed at helping health care providers understand patients’ values, beliefs, and behaviors so they can customize treatment to meet patients’ social, cultural, and linguistic needs. For black Americans, this means becoming more aware of the impact of community stressors and how these factors are contributing to their mental health problems, said panelists at the first-ever CBCF panel devoted to mental health in the black community. These factors include violence and trauma, racism, implicit bias, poverty, and limited access to educational, recreational, and employment opportunities, said Stewart, who is also the director of the Center for Health in Justice Involved Youth at the University of Tennessee Health Science Center. For example, blacks with depression are often misdiagnosed with schizophrenia and blacks grieving the loss of a loved one, who say they’ve experienced a “visitation,” have been diagnosed as psychotic, due to cultural and religious misunderstandings, she said. Making matters worse, blacks are more likely to be hospitalized for psychosis than to receive community treatment, she said. Mental illness, suicide, and sexual abuse are seriously under-reported among blacks. She encouraged black people to educate themselves about mental illness using reputable sources, openly discuss issues of mental health, and identify people in the community who need help. 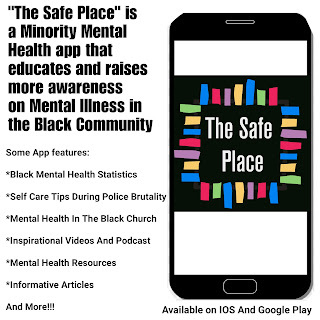 New to Android and iPhone is “The Safe Place,” a minority mental health app geared specifically towards the black community. The purpose of The Safe Place is to bring more awareness, education and acceptance on the topic of mental health. 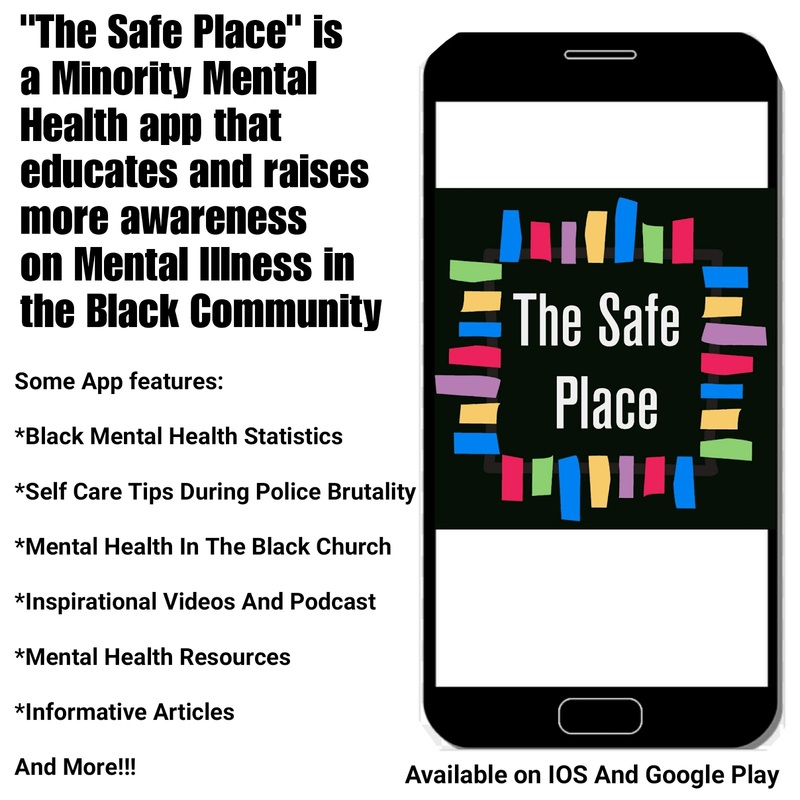 Not only can the black community benefit from this app, but also mental health professionals, friends, and family of all colors can be better educated on this serious issue and do a service by directing their black friends, co-workers, etc. to this app. The Safe Place can also be a great learning tool for mental health professionals to better understand their black patients, given our social backgrounds are different and the importance of understanding that aspect. Police killings of unarmed black people are associated with worse mental health for African-Americans across the country, even when they have no direct connection to the deaths, a U.S. study suggests. 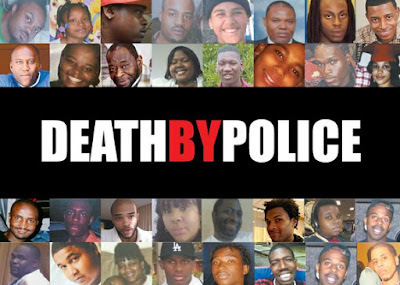 Each year in the U.S., police kill more than 300 black men and women - at least a quarter of them unarmed, researchers note in a report in The Lancet, June 21. African-Americans are more than three times as likely as white people to be killed by police and more than five times as likely to be killed while unarmed. Beyond the immediate impact for victims and families, however, research to date hasn't provided a clear picture of the spillover effect these killings can have in the black community. For the current study, researchers examined survey data from more than 103,000 black adults, collected between 2013 and 2015, to see how often they reported days on which their mental health was "not good" in the previous month. The study team also looked at data on police killings in participants' home states in the past 90 days. "To people who may be suffering from poor mental health in the wake of police shootings, our study says you are not alone," said lead study author Jacob Bor of the Boston University School of Public Health. "There is an urgent need to reduce the incidence of police killings of unarmed black Americans," Bor said by email. "But there is also a need to support the mental health of black people and communities when these events occur." Researchers also didn't find police killings associated with any shifts in mental health among the white people participating in the same surveys. Police violence is widely considered a form of structural racism, and it's not necessarily surprising that police killing unarmed black Americans is experienced negatively by black Americans and perceived as a form of injustice that is difficult to escape or prevent, said Dr. Rhea Boyd, author of an accompanying editorial and a pediatrician at the Palo Alto Medical Foundation in California. "While the evidence presented in The Lancet did not identify the pathophysiologic pathway by which police violence causes population mental health impairment for black Americans, evidence that such an impairment is indeed caused by police killing unarmed black Americans opens (the) question of the operative biochemical pathway," Boyd said by email. "Because of the relationship between racism and toxic stress, future research should explore how police violence, as a vicarious exposure to racism, may be toxic to the functioning of organ systems and thus the health of black Americans," Boyd added. Tracing the history of how the mental health of African Americans was characterized during slavery sheds light on why disparities in psychiatric care still exist. The proportionate number of slaves who become deranged is less than that of free colored persons, and less than that of whites. From many of the causes affecting the other classes of our inhabitants, they are somewhat exempt: for example, they are removed from much of the mental excitement to which the free population of the Union is necessarily exposed in the daily routine of life. Again, they have not the anxious cares and anxieties relative to property, which tend to depress some of our free citizens. - John Galt, Report of the Eastern Asylum (1848), Williamsburg, Va. In 2020, the Commonwealth of Virginia will acknowledge the 150th anniversary of the first mental institution for blacks in America and the theoretical and political roots that marked its segregationist origins. In this article, I will discuss changes in causal theories, legislation, and public opinion in Virginia that linked blackness, mental illness (lunacy), dependency, and dangerousness as the predictive aftermath of slavery. It was this combination of sentiments, fear, and experiences that contributed to long-term differences in mental health care (excess admission rates, severe diagnoses, treatment, delayed help seeking). In addition, this article describes current efforts to retain, restore, and increase access to the 800,000 historical documents that describe the historiography of this unique institution and the thousands of people who were admitted. Historically, concepts of race and mental illness have been intimately linked in American psychiatry, policies, and public opinion. Starting in the 1700s, two diametrically opposed medical views were alternatively used to predict vulnerability of black populations. From 1700 to 1840, enslaved blacks were described as immune to mental illness. John Galt, M.D., medical director at Eastern Lunatic Asylum in Williamsburg, Va., hypothesized that enslaved Africans were immune from the risk of mental illness because they did not own property, engage in commerce, or participate in such civic affairs as voting or holding public office. The immunity hypothesis assumed that the risk of “lunacy” would be highest in those populations who were emotionally exposed to the stresses of profit making—principally wealthy white men. Controversy over the 1840 census may have helped influence the passage of legislation in Virginia that allowed enslaved Africans qualified admission to Eastern Lunatic Asylum. Three conditions were included in the legislation that circumscribed their admission: (1) no enslaved Africans could be admitted without a petition from their owner or person who held jurisdiction over them; (2) the petitioner had to pay for the inpatient care of the enslaved; and (3) the admission of an enslaved person could not deny admission or treatment opportunities for white residents. From 1765 to 1868, fewer than 100 free or enslaved blacks were legally allowed admission to Eastern Lunatic Asylum. Findings from the 1840 census purported to show that free blacks in northern cities experienced significantly higher rates of mental illness than enslaved blacks in the south. However, this conclusion failed to acknowledge that mental institutions in the South were restricted by law from admitting slaves. The purportedly higher rates of mental illness in Northern states were attributed to the inability of blacks to manage freedom, and their repeated efforts to escape slavery by migrating to northern states was characterized as pathological. Race-specific symptoms and hybrid diagnoses (for example, draeptomania) were coined to explain predictions of exponential increases in incidence and danger from idle black men if freed. In 1848, the Association of Medical Superintendents of American Institutions for the Insane appointed Virginia’s two medical superintendents, Galt and Francis Stribling, M.D., to develop a report to inform and guide public policy on race and mental illness. Galt believed that there was no medical rationale for separating people with mental illness by race although he agreed that slaves should be excluded. After state legislation was passed in 1848, Galt provided admission to enslaved blacks if their owners paid for their care. Stribling, the superintendent at Western Lunatic Asylum in Staunton, Va., opposed the admission and treatment of blacks in his asylum. Despite their differences, the 1848 report written by Galt and Stribling recommended that the states adopt a policy to segregate asylums by race. By 1865, Stribling’s proposal that Virginia develop a separate hospital for blacks was consistent with the expectations of the Freedmen’s Bureau. Segregation quickly became national policy, which may have influenced the quality of mental health care for blacks into the 20th century. Blacks could receive care until the “immunity hypothesis” was displaced. Regrettably, the exaggerated risk hypothesis predicted excess mental illness, dependency, and dangerousness of black people if slavery were abolished. From 1860 into the 20th century, free blacks were seen at the greatest risk of mental illness. The causes included poverty, urban living, adverse family structures, and migration. The exaggerated risk hypothesis supported increased hospitalization of blacks as a means of control and safety. After the end of the Civil War, Howards Grove Hospital near Richmond provided limited health and welfare services for newly freed slaves. 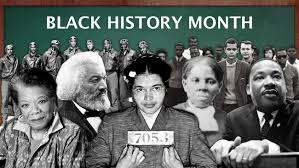 But in 1868, the Freedmen’s Bureau negotiated with the Virginia legislature to accept the hospital as the first mental asylum for blacks in America. The opening of the Central Lunatic Asylum for Colored Insane was based on the prediction that thousands of newly freed black people needed mental health care. Rates of admission and frequency of severe diagnoses at Central Lunatic Asylum increased significantly in patterns that supported dire predictions of rampant illness. From the 1870s to 1899, the number of admissions increased almost sixfold. However, the most significant increases came during the Depression years, when close to 10,000 people were admitted compared with 1,200 in the preceding two decades. In 1895, the Central Lunatic Asylum for Colored Insane was renamed Central State Hospital. (Its first black director and medical director were hired in 1985 and 2000, respectively.) From 1868 to 1968, the hospital remained segregated by race and was the only hospital in the Commonwealth of Virginia that accepted African-American mental patients. The hospital has maintained over 800,000 documents that provide details on the institution, patients, and staff. For example, the documents provide 32 characteristics of each person admitted from 1868 to 1942. Current state law allows access to documents that are 75 years or older; however, access by families and scholars to these historic records has been limited. *King Davis, Ph.D., is a senior research fellow in the School of Information at the University of Texas at Austin. He is also the former commissioner of behavioral health and developmental services for the Commonwealth of Virginia. 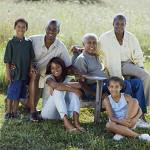 More African Americans are facing retirement without family members to help an increasing number of African Americans are facing the prospects of a life in retirement without family members to help them with finances and health issues, according to a recent report. The report, 'Projections of White and Black Older Adults Without Living Kin in the United States, 2015 to 2060', says the number of older vulnerable African Americans without family members is increasing and will continue to grow. The numbers of older people without any living close kin is rising among African Americans and whites, the report says, but the numbers are growing much faster for African Americans. For example, in 2015, 0.8 percent of white men 50 and older and 1.1 percent of white women 50 and older were living without close kin. Those numbers are projected to double by 2060 to 1.9 percent for white men and 2.2 percent for white women. That means there will be 1.2 million older black men and 1.6 million older black women with no living kin by then, the report says. “Our findings draw attention to the potential expansion of older adult loneliness, which is increasingly considered a threat to population health, and the unequal burden (a lack of family) may place on black Americans,” the report says. Because of the racial difference between whites and blacks in wealth the average wealth of white families in 2013 was more than $500,000 higher than that of African American families — African Americans are more likely to need such loans. “And that fact that on average, they are more likely to not have any family may be concerning,” said Verdery.